Plug the machine in. The "dial" can be turned or pushed. The button below the screen with the house icon is called the "home" button. 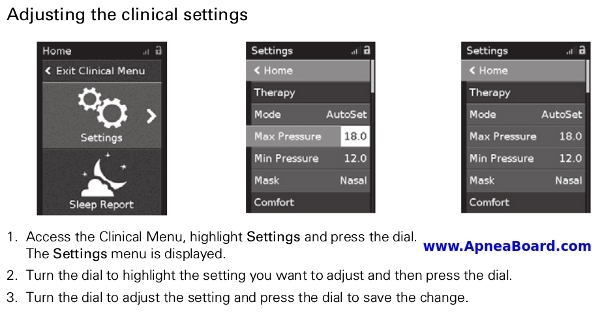 To access the clinician menu, press the dial and the home buttons simultaneously for 3 seconds. The clinician menu will appear. Select parameter(s) you wish to modify with the dial (push down to select, turn to modify). 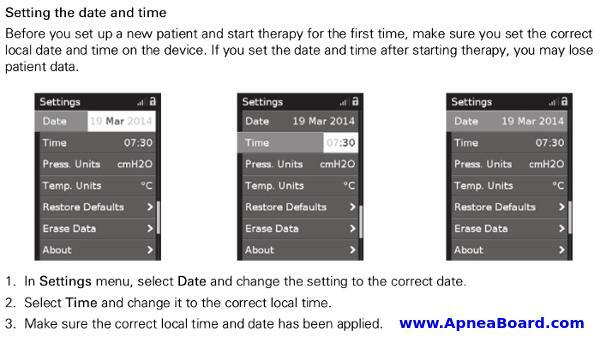 When done, press the dial and home buttons for 3 seconds again, or find the "exit clinical menu" option in the menus. 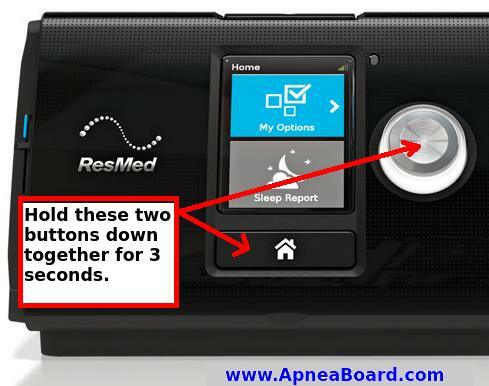 For more information, or if you have questions regarding your ResMed AirSense 10 or AirCurve 10 machine, please join the Apnea Board Forum and post your question there. We'd love to help you! For information on how to obtain the free ResScan PC software for charting AirSense 10 and AirCurve 10 data, click here.